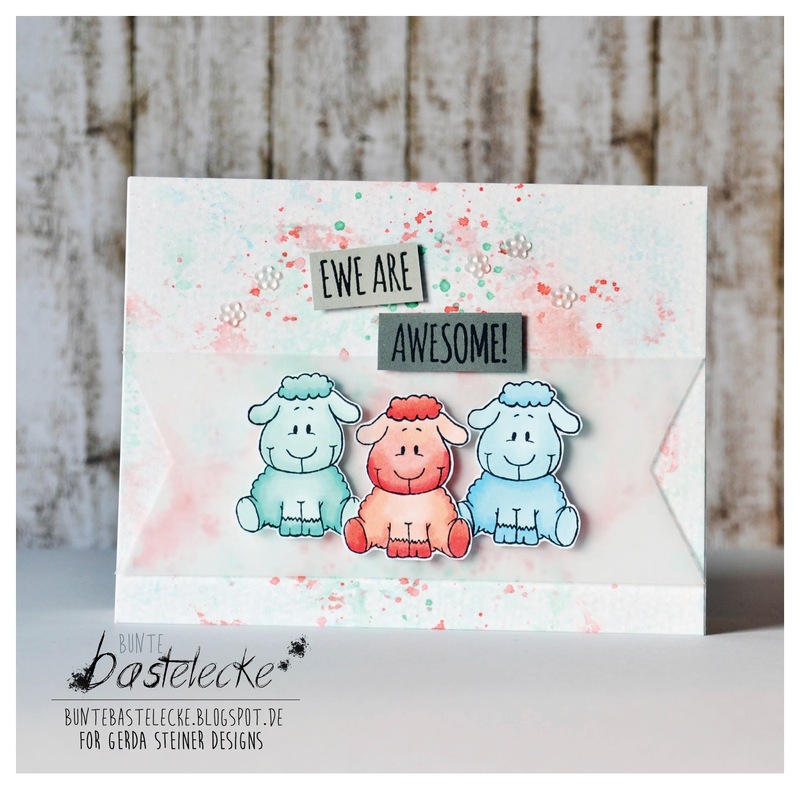 Gerda Steiner Designs, LLC: Ewe are awesome! This is Wiebke and I'm super duper excited for my very first post for Gerda Steiner Designs! 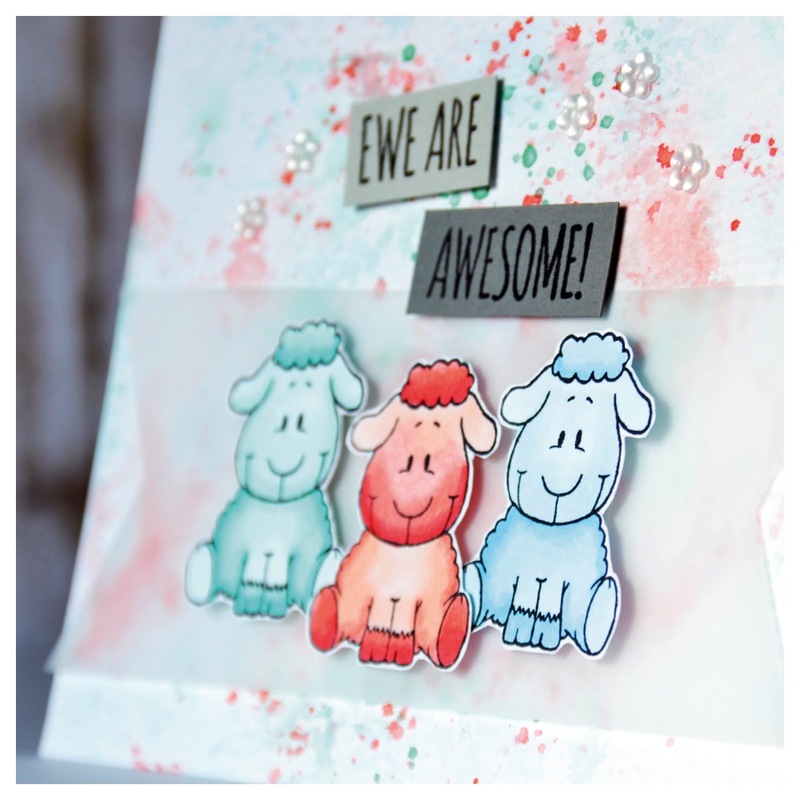 The sheep blog hop is now nearly one week ago, but we're all still fascinated by this awesome new stamp set. I created a card for you today with some veeeeery colorful sheep. I had this one coral colored sheep laying on my desk for about a week and thought "why not giving him some futuristic colored friends"?! I made a soft looking watercolor background with lots of water splashes. After that, I cut out a piece of Vellum to place my sheep on. That way, you can see the colors of the background behind, but in a more soft way to be letting the main focus on the sheep. I stamped the sentiment on a light and dark grey cardstock and to embellish that scene a little, I decided to glue down some white flower sequins. And that's it from me today :) Hope you liked it and see you soon! Wiebke!!! This is so super adorable! Love the color splashes of the background!! Thank you for this wonderful card! The back ground was awesome! Love the stamps. Like the velum touch! the sheep are so sweet .. I love the sayings in this set. 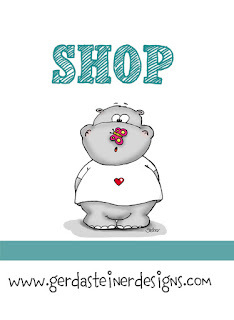 Love, love, love the background on this card! Very adorable sheep! Super cuuuuute! Love the backgroud, the vellum...and the whole card! These little guys are just so cute. I love the different colored sheep. The color scheme really pulls it together. I love the back splashes.